Well presented three bedroom home, conveniently located just a short walk to beaches of Glenelg, Jetty Road Precinct, plus Harbour Town Shopping Outlet and public transport. Available Now. Sorry, no pets. For further information or to make an appointment to view, please contact Kelly Shaw during business hours on 8332 3011. Offering her clients an assured, professional and compassionate approach. With over 7 years experience in the Real Estate industry, Kelly brings a diverse background in both Property Management and Sales to Neale Realty. 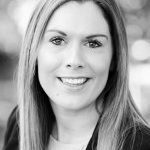 Passionate and dedicated to her roles as Property Manager, Kelly prides herself on her exceptional client liaison skills and attention to detail.